WORLD NEWS | Taiwan President Tsai Ing-wen offers Haiti President US$150 million in aid to buid Haiti's electrical grid. Photo: L'union Suite.com. 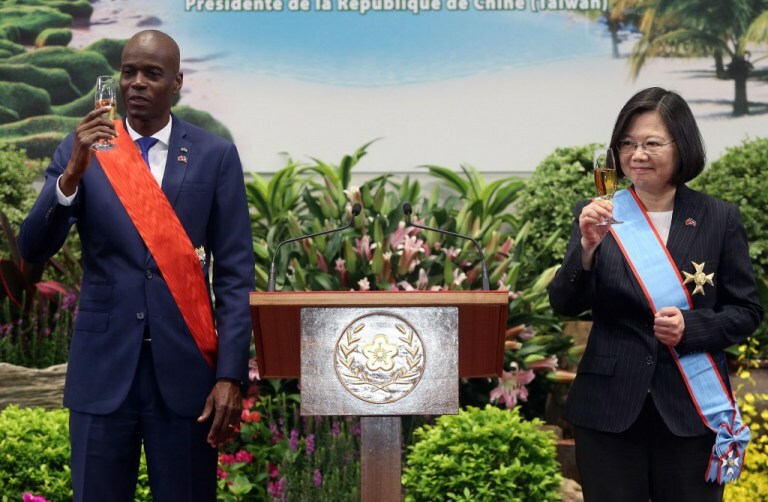 HAITI (FNN NEWS) – Source: L’union Suite // The Ministry of Foreign Affairs (MOFA) announced Thursday that Taiwan will assist Haiti to secure an NT$4.5 billion (US$150 million) loan to electrify the entire Caribbean island nation of Haiti. Just before Haitian President Jovenel Moïse began his current five-day visit to Taiwan with a 30-member delegation, Jude Alix Patrick Salomon, the Minister of Economy and Finance, announced that Taiwan has granted a loan of approximately US$150 million dollars to build an extensive electric grid in Haiti. In June of last year, Moïse pledged to build a new energy network to provide electricity to the country 24 hours a day within the next 18 to 24 months. The planned grid would cover 600 kilometers and supply power to 16 major cities and ten departments, reported Haiti Libre. Taiwan news reports, during his current trip to Taiwan, Moïse on Tuesday emphasized that “Haiti is willing to strengthen cooperative partnership with Taiwan so that the relationship between the two countries can be long-lasting and robust.” In exchange, Taiwan President Tsai Ing-wen said that she looked forward seeing the two nations support one another in the pursuit of sustainable development. Original story published on L’union Suite.com. Read more here.